For a nothing less than incredibly stylish look, pair a dark brown blazer with BOSS leenon regular fit solid wool trousers. Add a sportier feel to your look with brown leather double monks. 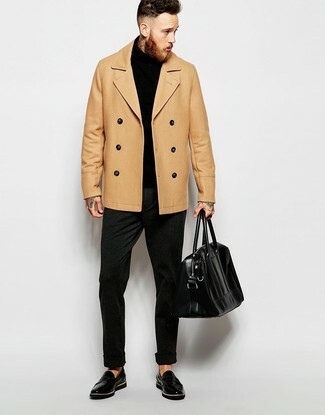 A tan pea coat and BOSS leenon regular fit solid wool trousers are great essentials to incorporate into your current wardrobe. Grab a pair of black leather loafers to make the outfit more current. 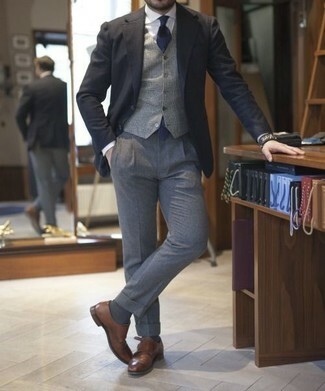 For a nothing less than incredibly stylish outfit, wear a black and white tweed blazer with charcoal wool dress pants. Dark brown leather chelsea boots will add a sportier vibe to your ensemble. Let everyone know that you know a thing or two about style in a navy crew-neck sweater and BOSS leenon regular fit solid wool trousers. 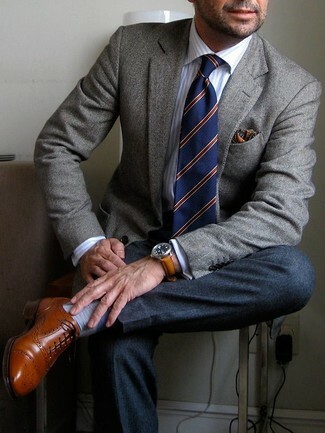 Pair a grey herringbone wool blazer with BOSS leenon regular fit solid wool trousers for a sharp, fashionable look. Rock a pair of tobacco leather brogues to make the look current. 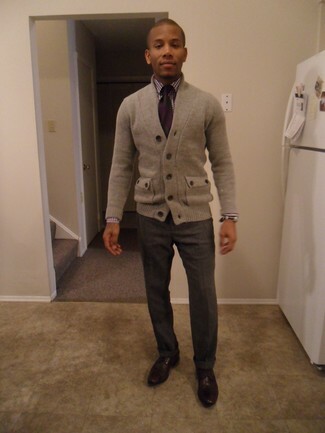 Consider wearing a grey cardigan and BOSS leenon regular fit solid wool trousers like a true gent. Dark brown leather derby shoes will deliver a sportier vibe to your outfit. 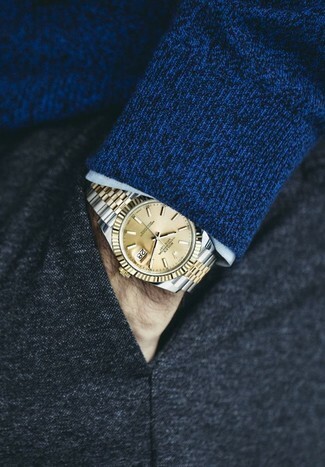 You'll be surprised at how super easy it is to throw together this refined ensemble. 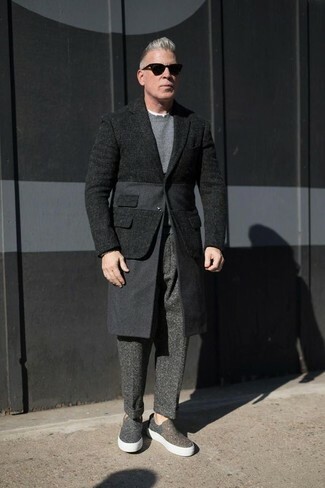 Just a black wool shirt jacket and BOSS charcoal wool dress pants. 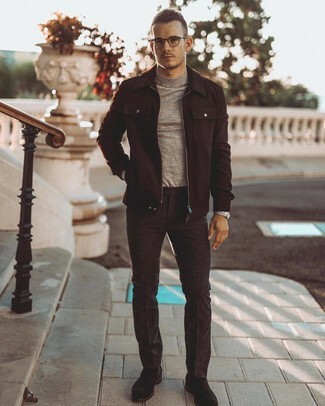 Introduce a pair of black suede desert boots to the equation to make the look more current. 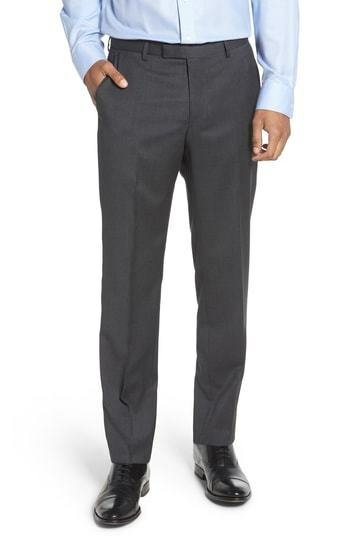 Pair a black wool blazer with BOSS leenon regular fit solid wool trousers from Nordstrom for a sharp, fashionable look. For something more on the daring side to finish off this getup, go for a pair of charcoal canvas slip-on sneakers. 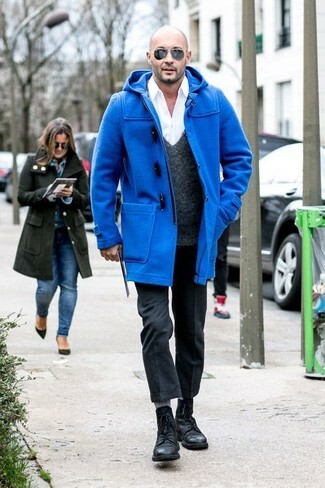 Pair a blue duffle coat with BOSS leenon regular fit solid wool trousers from Nordstrom for a classic and refined silhouette. Throw in a pair of black leather casual boots to make the outfit current.